Death Valley Encounter marks Storm's one year anniversary as an endurance horse. 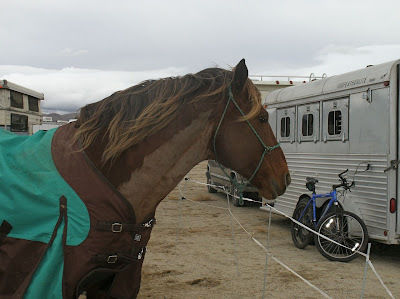 It was going to be very iffy on whether or not Storm was going to go, because after coming home late at night from Desert Gold, Terri had forgotten to close the pasture gate (which lets horses into the middle, roundpen pasture and shares a fenceline with Storm's pasture) when she let the horses out of the trailer and put up Storm. This resulted in Terri's new mare teasing Storm over the field fencing that is in that pasture (and usually has a hot tape on top, but was not hot due to the solar charger being dead...no issues with geldings, but an in heat mare? Even good boys find that too tempting), and him going over the top of it. 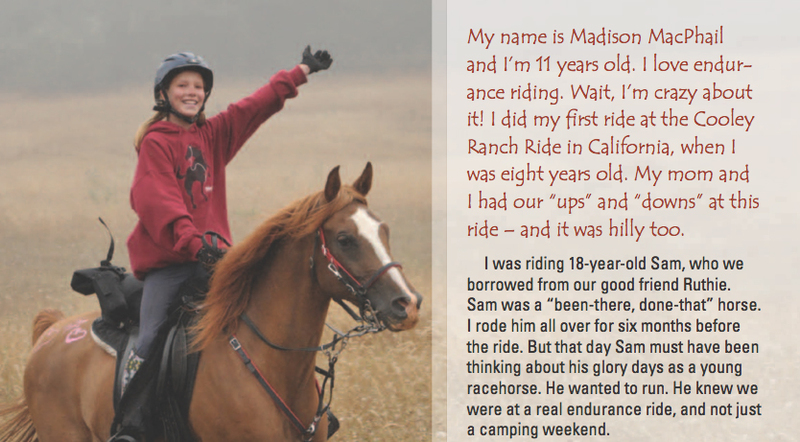 Terri found the fence stomped down and Storm in with the mare and geldings...two weeks later, a preg check showed nothing, so luckily it was late enough in the year to result in no real breeding. Good thing! But sheesh! Too much excitement. I had initially checked him over superficially that morning, and no lameness or big bleeding wounds, so back in the paddock and mud (over fetlock deep) and I fixed the fence (which had torn wire squares and holes, but was mendable). Issue over....so I thought. A week later, we go out to the beach for a nice ride, and I was able to really clean storm of all his mud...I get to his hind legs, and WTF!?!?! His right rear pastern is puffy, warm, and looks skinned up and crusty...almost like after a rope burn...hmmm...I clean it up more, and find two shallow cuts in the 'bend' of the upper part of the pastern. Sighhhh...so he didn't get away from the fence jumping cleanly after all. I cleaned it up well and it looked fairly good, and checked for lameness...none I could tell. So we decided to lightly walk-ride him and stick him in the ocean waves...salt water baths are always good for these things.